The fact is, you are already making all the initial moves that mean solving your fertility conundrum, or perhaps just improving your chances of falling pregnant first time, is moving a step closer. 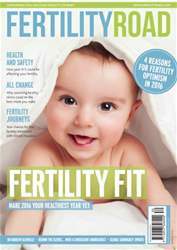 Many couples, for years, pursue fertility without investigation, perusing instead the same ideas and processes they always have. Of course, repetition is good, but making changes and investigating every available process is imperative, and once you are on the ladder you can begin to climb.